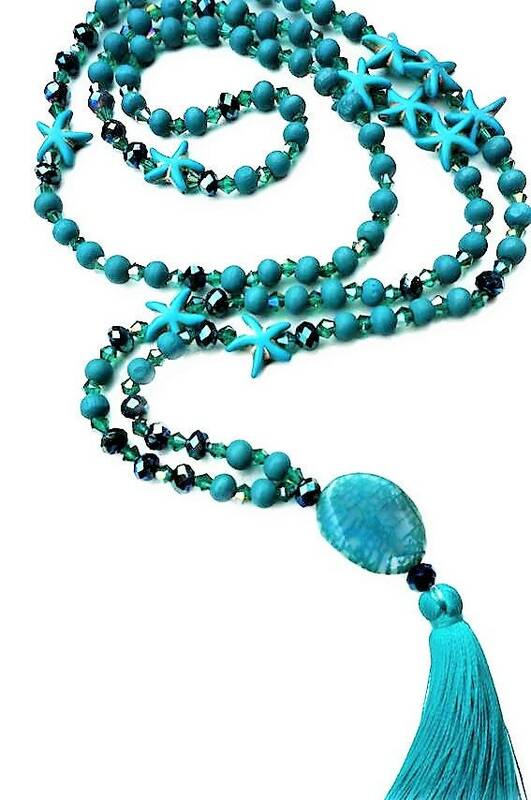 Long chain in Mala style with glam factor: made of various mats (wood) and shiny turquoise beads (faceted glass beads) as well as eye-catching beads made of acrylic, which are shaped like small starfish. There are small faceted glass beads between the 6 mm round and faceted beads. The glass beads shimmering in rainbow colours sparkle and sparkle this necklace and thus get its special glam factor. 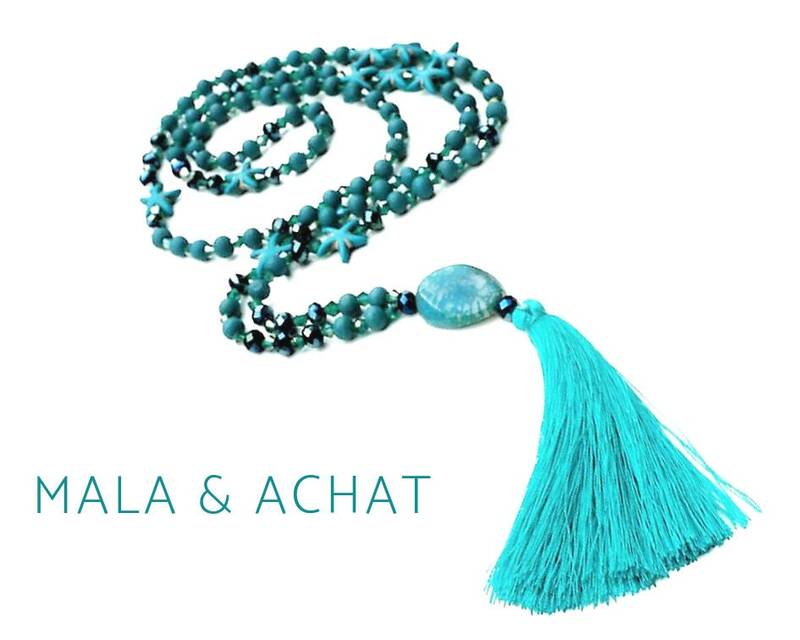 Eye-Catcher is a large flat turquoise agate (approx. 2 x 2 cm), which forms the end of the chain as a polished oval stone. On this semi-precious stone there is a CA. 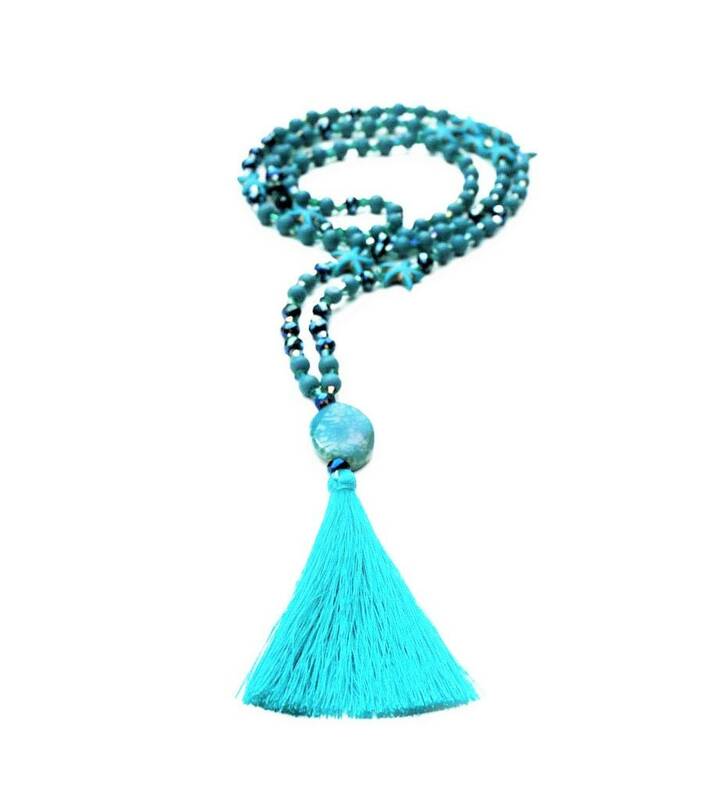 7 cm long turquoise silk tassel (approx. 7 cm). 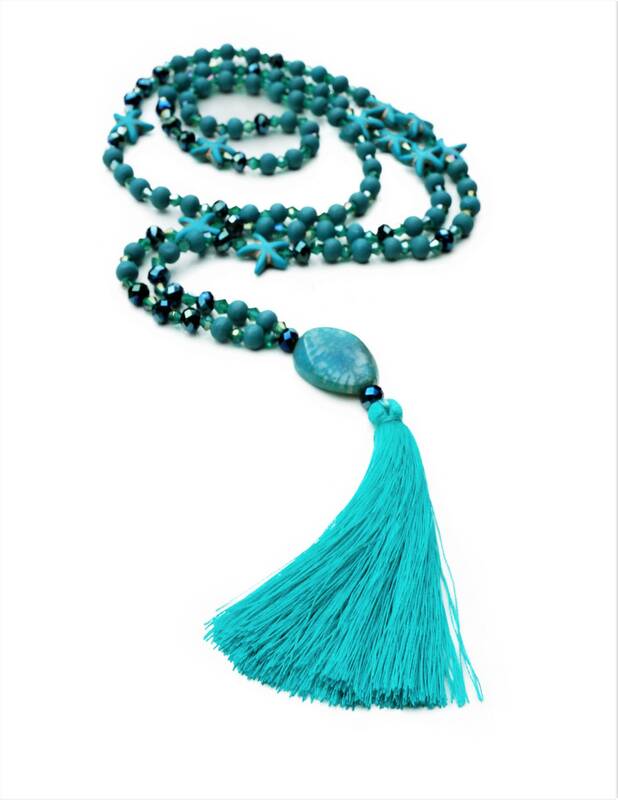 The chain is up to the tassel 47 cm long (total length 94 cm) and with the tassel approx. 55 cm long. This handmade unique item is shipped as a gift wrapped in a organza bag.